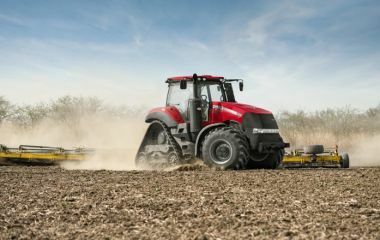 Machinery for agriculture, grass care & other land management requirements. Sharrocks has an extensive parts and servicing facilities. Sharrocks dedicated parts team are always on hand to help. Within our large workshops at both Wigan and Arclid depots. Agriculture, forestry, golf & sport turf, groundscare & landscaping, residential & allotment. For sales, contract hire, spare parts or service and repair. Sharrocks offer a huge range of machinery for agriculture, grass care and other land management requirements. We are main dealers for many of the worlds largest brands and back this up with extensive parts and servicing facilities. 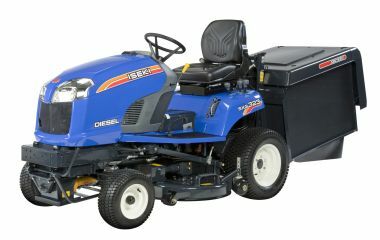 We supply equipment for agriculture, forestry, golf & sport turf, groundscare & landscaping, residential & allotment users. Sharrocks hold a large stock at both depots, along with the backup of a next day courier service and our own parts delivery vans. Sharrocks operate a fully equipped, state-of-the-art workshops at both Wigan and Arclid depots as well as a mobile repair service. Hiring grass management for groundscare contractors, golf course operators, local authority amenities managers. One of the challenges that face the turf care professional is the battle against compaction. 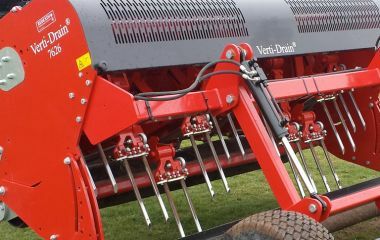 The Redexim Verti-Drain range has been specialy design with a wide choice of models and tines for aeration which assists both drainage and irrigation. It is also through these cavities that the plant develops and extends its roots system giving stronger and healthier turf. Specialists in the sales, service and repair of industrial, plant and genset engines. Including; Cummings, Lombadini, Kohler, Yanmar and Perkins. Sharrocks stock a huge selection of used grasscare, agricultural and ex-hire equipment. Europe’s largest range of agricultural spare parts and accessories. Sharrocks have teamed up with Kramps so that you can order by 6pm for next day delivery direct to your farm. Or, you can collect free of charge from your local depot. With 24/7 ordering, this shop ensures you have minimal downtime with high quality spares. Sharrocks back up all our machines with genuine manufacturer parts like Hardi, Vogel Noot and Tomlin to name just a few. We supply workshop tools and sundaries, as well as a verioty of misc items like sheep netting, brooms, buckets, rakes and much more. Other brands; We are able to supply additional parts, many genuine, for miscellanous machinery, please contact us directly with your requirements.